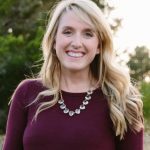 Kendall is a wife and mother of two navigating life with Friedreich's Ataxia in Austin, Texas. She worked in marketing before "retiring" and becoming a stay-at-home-mom. She is an optimistic warrior fighting for a better future, free of FA.